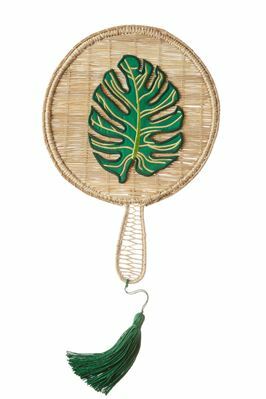 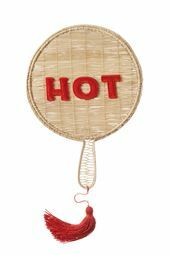 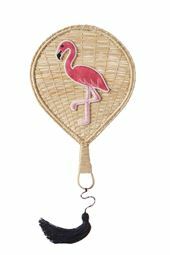 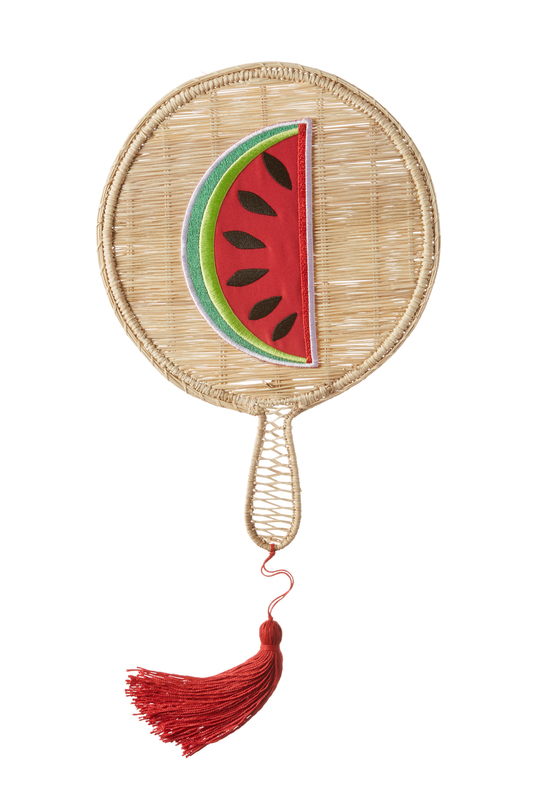 Handheld woven straw fan features embroidered watermelon appliqué patch with colorful thread and green accent tassel. 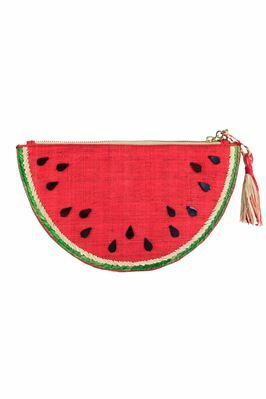 Each piece is handmade in Columbia. 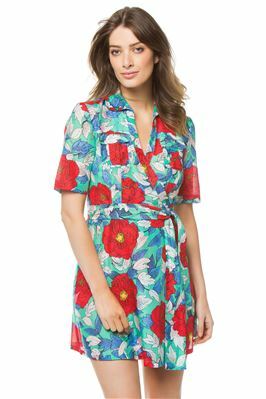 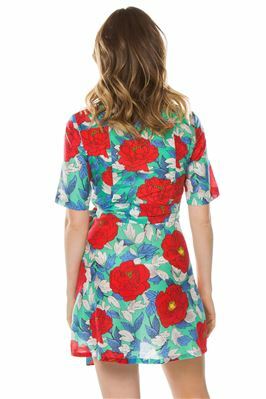 Due to the nature of the process, each piece is one of kind and may vary slightly from photo.